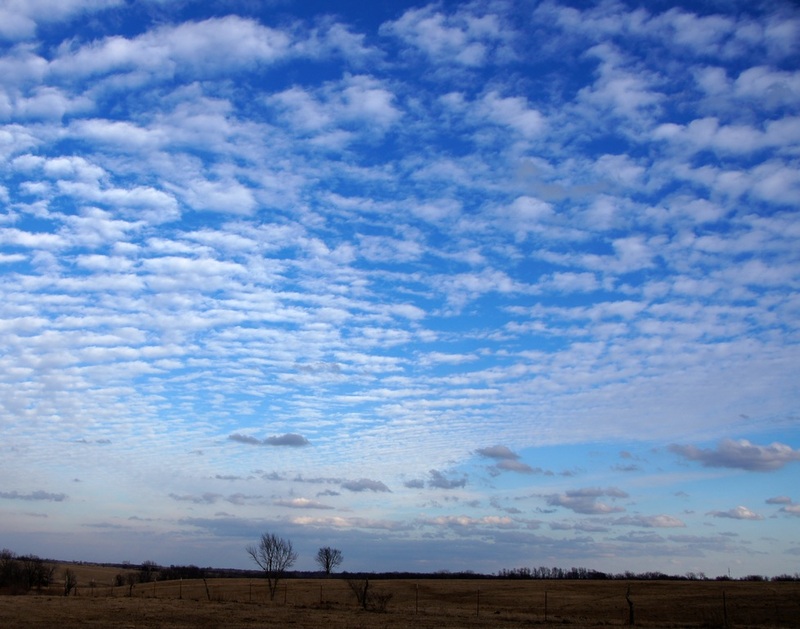 A couple weekends ago, I went out for a walk and was captivated by the clouds in the sky. Each time I raised my eyes to the sky, I saw something beautiful and worthy of a photograph. I think of the old saying "Each cloud has a silver lining." Well, on January 16, 2012, there were silver linings filling the sky. Oh how rich I felt to have the opportunity to witness such beauty. A beautiful photo. The sky is amazing and the clouds give a special touch to the image. Thanks for sharing. That is one very big sky! Nice. 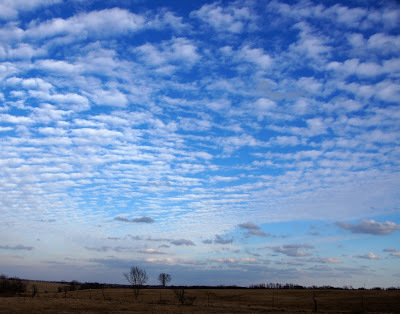 Very nice shot, that is an amazing pattern of clouds. This photograph is beautiful. Have you heard of WebShots? This could be there!